This paper presents a framework for understanding the importance of credit management as it affects the performance of small-scale enterprises. Invariably credit management involves the matter of bad debts and its management. No matter how efficient managers of credit are, there is always the incidence of bad debts; evaluation of credit management therefore must involve methods of debt recovery. Credit management examines how financial institutions respond to credit facilities given to their customers and how the small- scale enterprises react to methods of credit management. Small-scale enterprises are basically grass-root businesses that support the livelihood of entrepreneurs and in turn create jobs and reduce poverty to a large extent. It is essential that credit facilities extended by the financial institution to the small-scale enterprises are properly managed in order to ensure repayment of facilities and growth of the small-scale business. This brings us to how the management of credit influences the performance of such businesses. Primary Data were utilized through the Questionnaires administered on deposit money banks, micro finance banks as well as selected small-scale business owners. Descriptive statistics were employed to analyze the data using SPSS so as to test the hypotheses. It was observed that most small-scale owners do not have the expertise to maintain proper records of their activities. Banks should enlighten their customers on importance of proper record keeping, utilization of the credit facilities given to them, and the necessity for prompt repayment of facilities. The study is expected to be useful to entrepreneurs, players in financial institutions and policy makers of the economy. Abedi, S. (2000). Highway to Success, Credit Management Journal. http:// leatherspinters.com Achou, T. F., & Tenguh, N. C. (2008). Bank performance and credit risk management (Unpublished Master’s Thesis). University of Skovde, Sweden. Asiedu – Mante, E. (2011). Rural Banking in Ghana, Combert Impression, Accra. Babagana, S. A. (2010). Impact assessment of the role of micro finance banks in promoting small and medium enterprises growth in Nigeria. 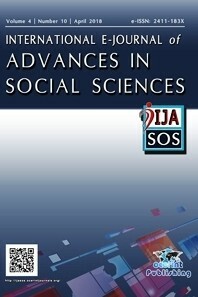 journal of economic development, 65, www.icidr.com Babajide A.K. (2002). “Funding of SME: Sourcing of Funds and Problem Limiting Access.” Paper Presented at the 4th Partners Forum of the Public Practice Section of the Institute of Chartered Accountants of Nigeria (ICAN), 17 Brewer, Elijah III (2007). “One Lending to Small Firms” Journal of Small Business Management, 45 (1), 45-46 Constantinescu, A., Badea, L., Cucui, I. & Ceausu, G. (2010). Neuro-Fuzzy Classifiers for Credit Scoring. Proceedings of the 8th WSEAS International Conference on Management, Marketing and Finance, 132-137. Craig, C., & Dan, C. (2001). Care Microfinance Risk Management Handbook. Available online: http://www.adb.org/doc./books/interest. Crosbie , (2003) Journal of Planktonic Research, plankt.oxfordjournals.org/content Ekhator, V.E. (2002). Role of Small and Medium Scale Enterprises in the Nigerian Economy. Paper Presented to the Department of Public Administration, University of Abuja. Golden., & Walker, (1993). Corporate Governance in the financial Institutions. Journal of Business Finance and Accounting,16(3), 385-398 Inkumbi, M. (2009). Beyond the 5Cs of Lending (online) Available http://www.dbn.com(05/07/2013) Lang. W. & Jagtiani, J. A. (2010). The Mortgage and Financial Crises: The Role of Credit Risk Management and Corporate Governance, Atlantic Economic Journal, 38, 295- 316. Longstaff, F., & Schwartz, E. (1995). A simple approach to valuing risky fixed and floating rate debt. Journal of Finance, 50, 789–819. Mohammed, A, (2002). The Dynamism of the banking industry: Research Report Mordi, F. (2002). “Why Government Must Protect Small and Medium Scale Enterprises”. Financial Standard, August 19. Nagarajan, G. (2001). Can Microfinance Meet the Poor’s Needs in Times of Natural Disaster? Microenterprise Best Practices (Bethesda: Development Alternatives, Inc). Obitayo, K. M. (2001). “Creating an Enabling Environment for Small-scale Industries” Paper Presented at the Workshop on SMEs Financing, Organized by the Chartered Institute of Bankers of Nigeria. Ojo, O. (2009). Impact of Micro Finance on Entrepreneurial Development: A case of Nigeria. A paper presented at the International Conference on economic and administration, organized by the faculty of Administration and Business, University of Bucharest, Romania, 14th -15th November, 2009. Pyle, D. H. (1997). Bank Risk Management: Theory, Institute of Business and Economic Research, University of California, Finance Working Paper No. RPF-272, July 1997. Olomola, S. (2002) Determinants of small holder loan repayment, performance, Evidence, Nigerian Microfinance system, Nigeria. Sindani, R. (2012). An overview of fraud and money laundering in the East Africa financial services industry. Nairobi: Deloitte Forensic. Shekhar K.C. (1985) Banking Theory and Practices, New Delhi: Vikas Publishing house pvt, Ltd.